TEN months after Mohammad Akhlaq was lynched by a mob in Uttar Pradesh’s Bisara village for allegedly consuming beef, a local court has directed that an FIR be registered under laws related to cow slaughter and animal cruelty against the 50-year-old and six members of his family. The directions were issued by judicial magistrate Vijay Kumar at the Surajpur district court on Thursday, under section 156 (3), on a petition filed by a Bisara resident on June 9. The petitioner, Surajpal, had based his plea on a report by a forensic lab in Mathura that a meat sample taken from the site of the attack belonged to “a cow or its progeny”. The petitioner had also claimed that another resident of Bisara had seen Akhlaq’s family slaughter a calf (bull) on the afternoon of September 25, 2015 — three days before Akhlaq was beaten to death. “The court on Thursday directed that an FIR be registered against seven persons — deceased Mohammad Akhlaq, his mother Asgari, wife Ikraman, daughter Shaista, son Danish Mohammad, brother Jaan Mohammad and his nephew’s wife Sona,” said Yusuf Saifi, the Akhlaq family’s lawyer. The latest order comes at a time when a case against the 19 accused facing charges related to the murder of Akhlaq is being heard at a fast track court in Surajpur. The Gautam Buddha Nagar police has submitted a chargesheet in the case but charges against the accused are yet to be framed in court. Reacting to Thursday’s order, Jaan Mohammed said that Akhlaq’s family had full faith in the judiciary that “the truth will come out”, while local BJP leader Sanjay Rana, the father of one of the accused, said “truth has prevailed”. Gautam Buddha Nagar SSP Dharmendra Singh said police had not “received a copy of the order yet”. “We respect the judiciary and we are going to offer every help possible in the investigation. A fair and unbiased inquiry should be carried out. We should be questioned and investigated and so should the other party. We are confident that the truth in the case will come out,” said Mohammad. Prior to approaching the court, the petitioner had filed a complaint at the Jharcha police station, seeking the registration of an FIR on charges of cow slaughter against seven persons. “The complaint filed in Jharcha police station on the same issue stands rejected suo moto since the court has taken cognisance under section 156 (3),” said SSP Singh. The Vishwa Hindu Parishad (VHP), meanwhile, welcomed Thursday’s order, stating that “the man who was supposed to be at the receiving end was actually the real criminal”. “The Hindu society that was portrayed as the perpetrators of the crime was the actual victim,” said VHP’s joint general secretary Surendra Jain. Contending that “the forensic report has established that beef was recovered from Akhlaq’s house,” he said the UP government should “investigate the case of cow-slaughter in a fair manner, the family of Akhlaq should be sent to jail immediately, and all the compensation and facilities that were showered on them should be taken back”. 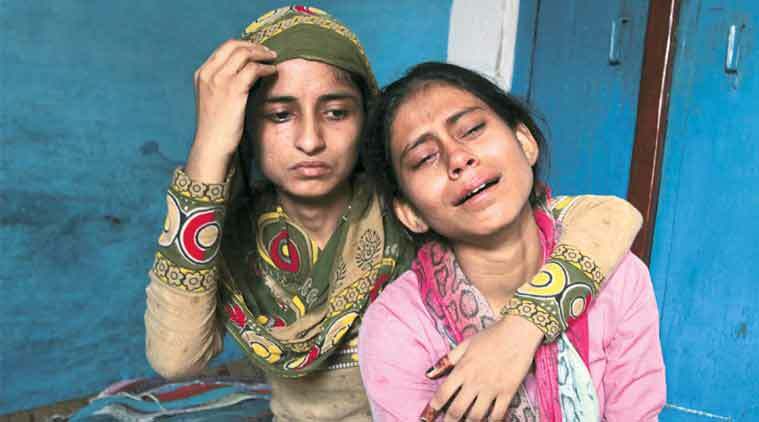 On the night of September 28, 2015, a mob surrounded Akhlaq’s residence in Dadri’s Bisara before allegedly dragging him out of the house and beating him to death. Akhlaq’s younger son, Danish, sustained severe injuries in the attack. Police said the mob had reached Akhlaq’s house minutes after an announcement was made from a local temple asking residents to assemble as a cow had been killed in the locality. 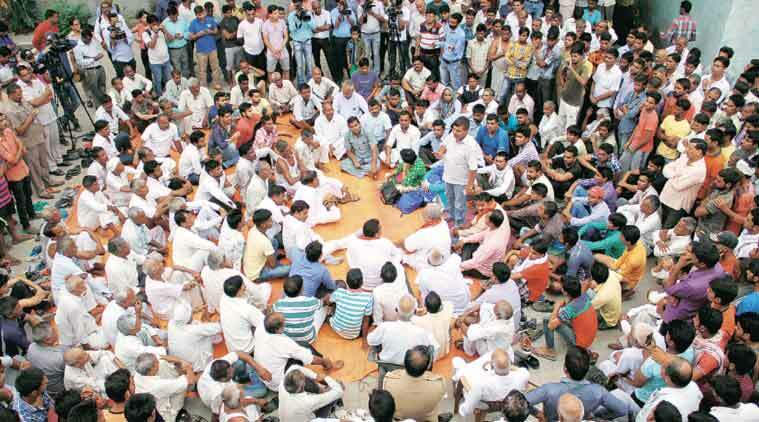 VHP leader Jain alleged that Akhlaq’s family had killed a calf and consumed its meat. “The villagers had visited his home only to elicit information but the situation got out of control only due to the bad behaviour of Akhlaq and his family,” he said.